Following redundancy many people are lost in a career transition maze and face an emotional roller coaster of a journey. Even those who are highly motivated may find it difficult to know which way to turn. As a result many people adopt a scattergun approach without any real focus or succumb to transition paralysis. 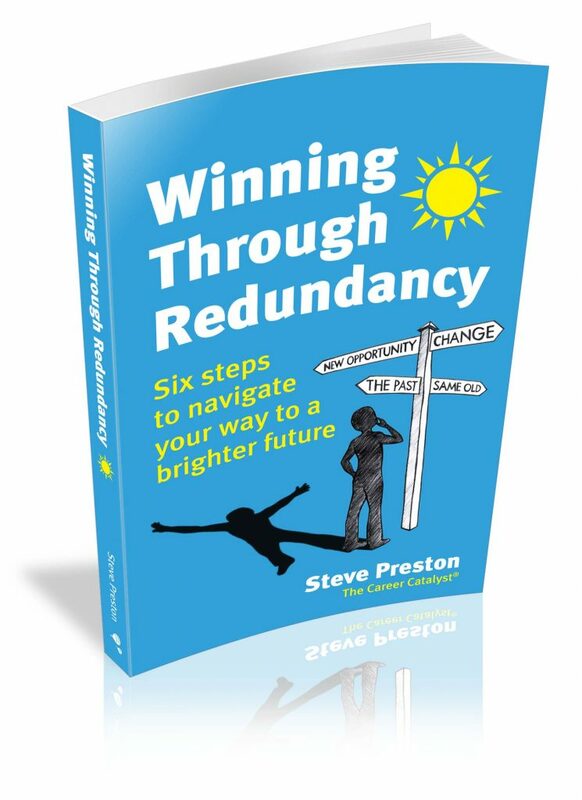 In this superbly practical book, career coach Steve Preston shows you how to beat post-redundancy blues or tackle any career change with a process to navigate your way to a brighter future in six simple steps. Written with passion and energy, whether you are a ‘mid-lifer, ‘quarter lifer’ or in your ‘third age’, Winning through Redundancy is packed with energizing exercises to unlock your true potential and boost your self-confidence. There are a host of real life case studies to inspire and a mixture of pragmatic advice and self coaching to help you achieve a successful outcome, ending up doing work you love and leading a fulfilling life.